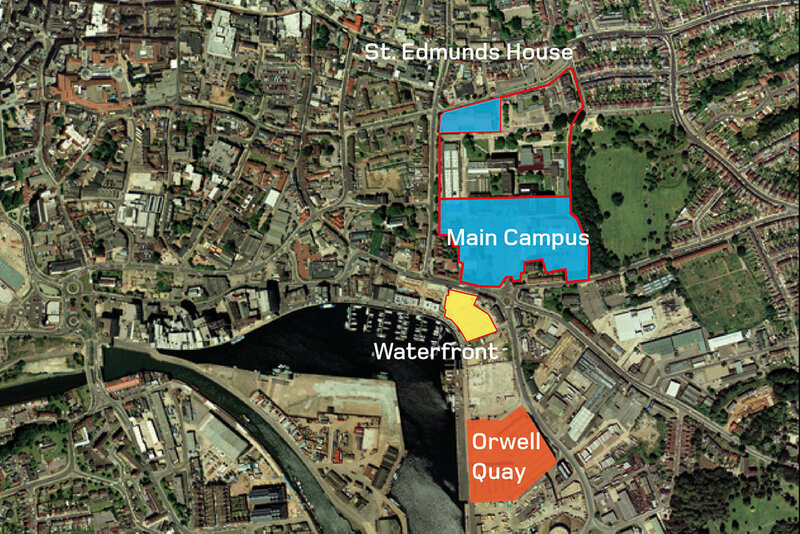 The University Campus Suffolk (UCS) forms an integral part of a wider town centre initiative to create an ‘Education Quarter’ which regenerates a series of sites along the Wet Dock and connect through to the redeveloped College site. 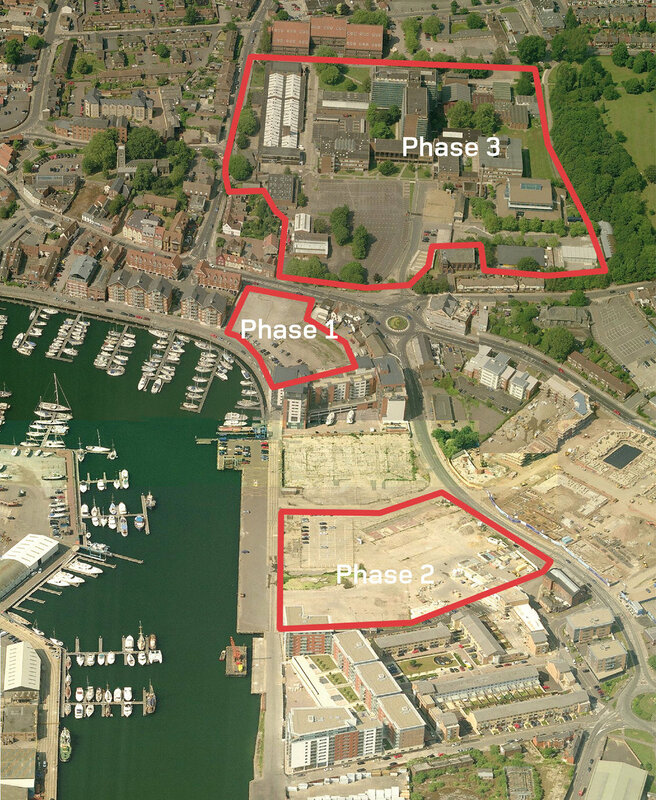 Suffolk College occupies the north of the Education Quarter, whilst UCS occupies the southern half of the existing campus area and took the waterfront site as the first phase of the development. 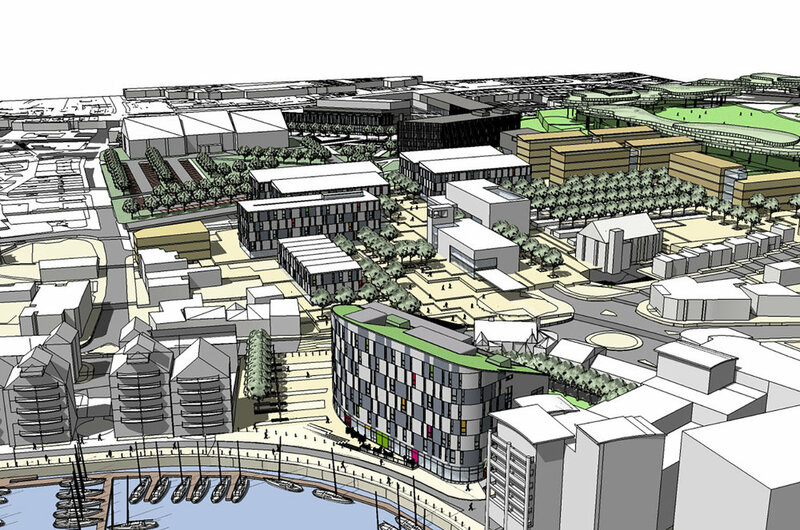 Orwell Quay becomes a mixed use development and UCS provides two areas of open public space, both located on a pedestrian route from the Suffolk College new build to the north, down to the quayside, and on to Orwell Quay in the south.